I made another baby outfit! 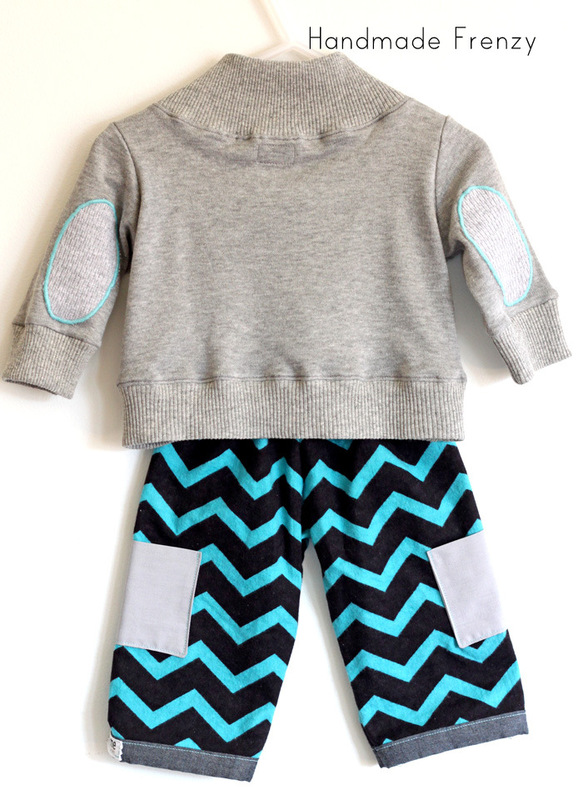 And oh my, it is so much fun making tiny little things :) For this outfit I used two FREE patterns! 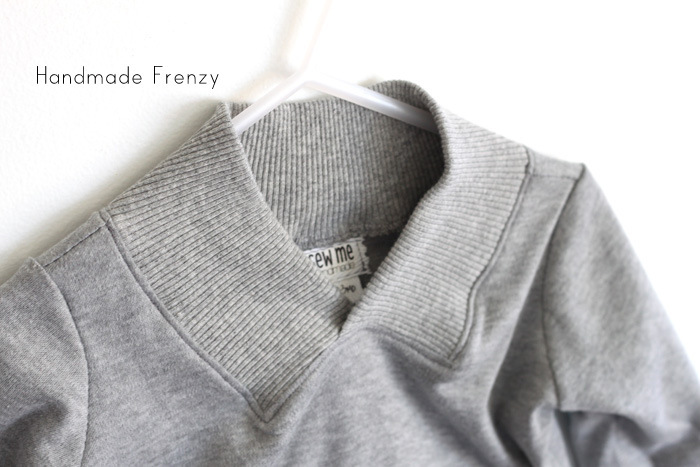 The sweatshirt is the Charlie Sweatshirt pattern by Shwin & Shwin. I modified this to make it smaller, I'll go into detail on that in a bit. 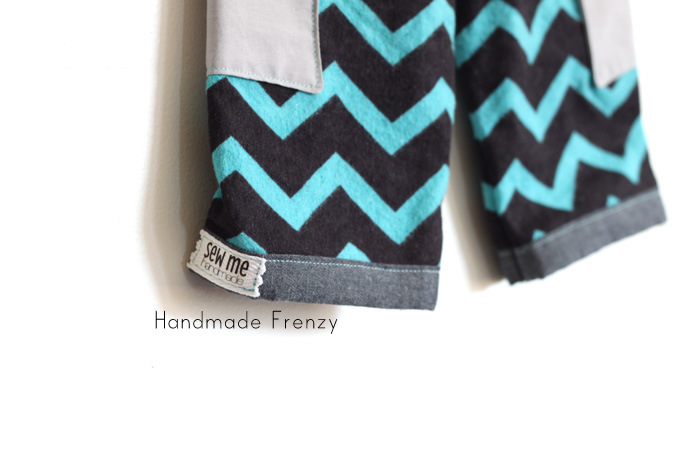 The pants are Rae's Basic Newborn Pants pattern. 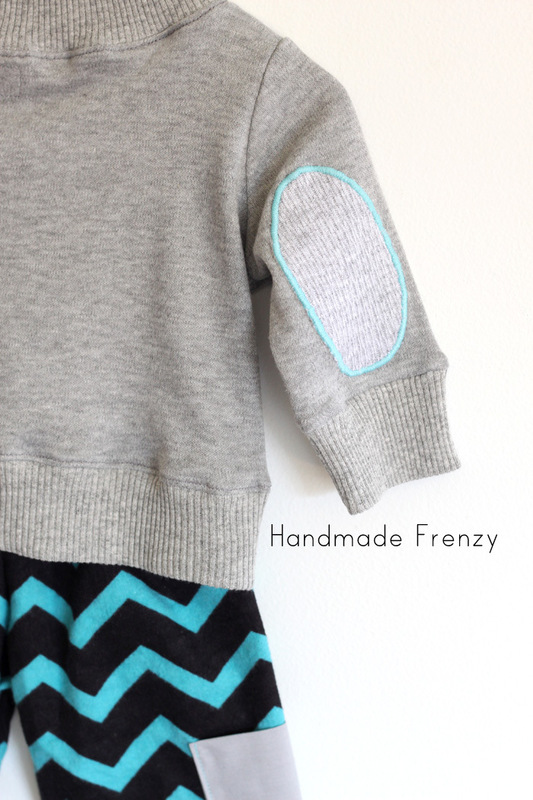 How awesome are these ladies for sharing these free patterns with us!? They have a serious cute factor, are super fast to sew up, and did I mention, cute!!?? I want to sew about a dozen more! 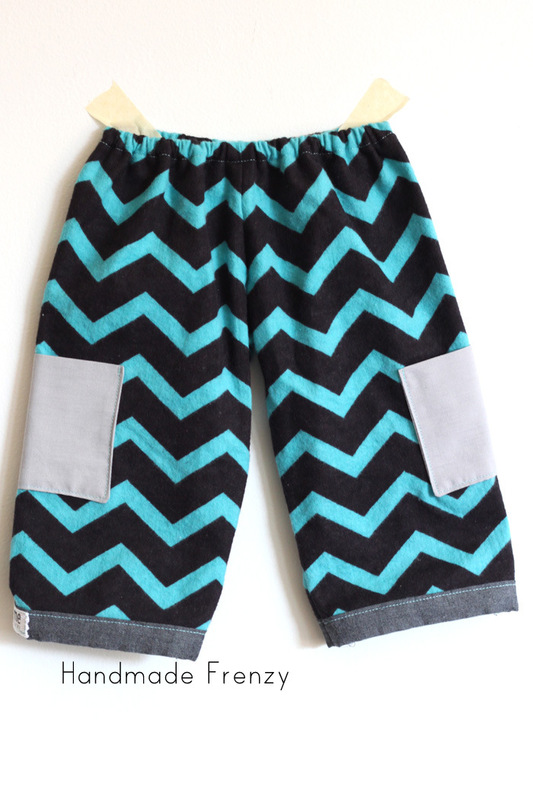 I decided to "pimp these baby pants" and added the pockets and trim. Because why not? Details are so fun. Now... For my "DOH!!" moment. These are a gift. And they have already been mailed and received by the mama-to-be. I just realized, right before writing this post, I made a big mistake! 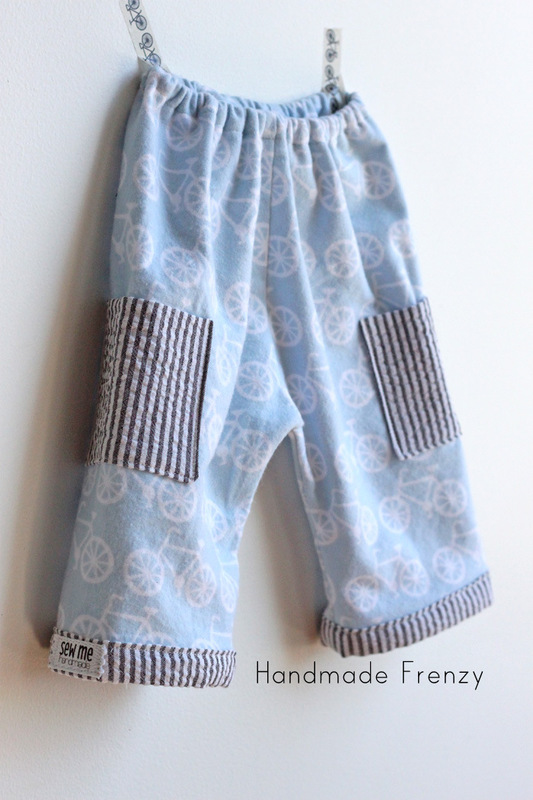 I will be remaking the pants and shipping them off asap, and hope they will arrive before the baby does! I really needed a cute little top to go with those pants to round out the gift. 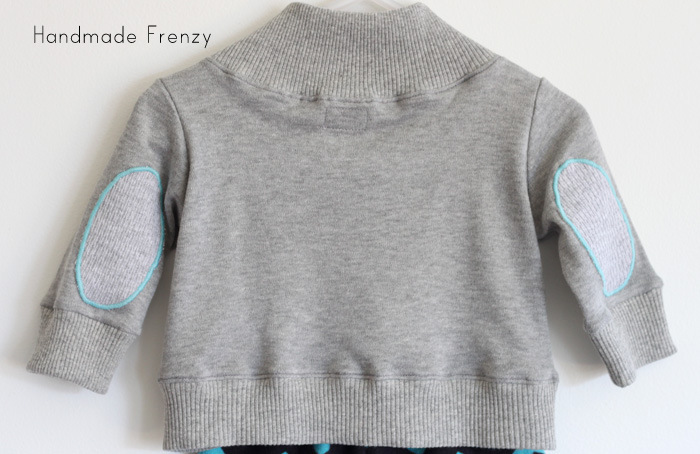 I remembered I had pinned this cute little sweater and went to check it out again. I thought it would be the perfect accompaniment for the little flannel pants but the pants are size 0-3 and sweater pattern is a 6-12. 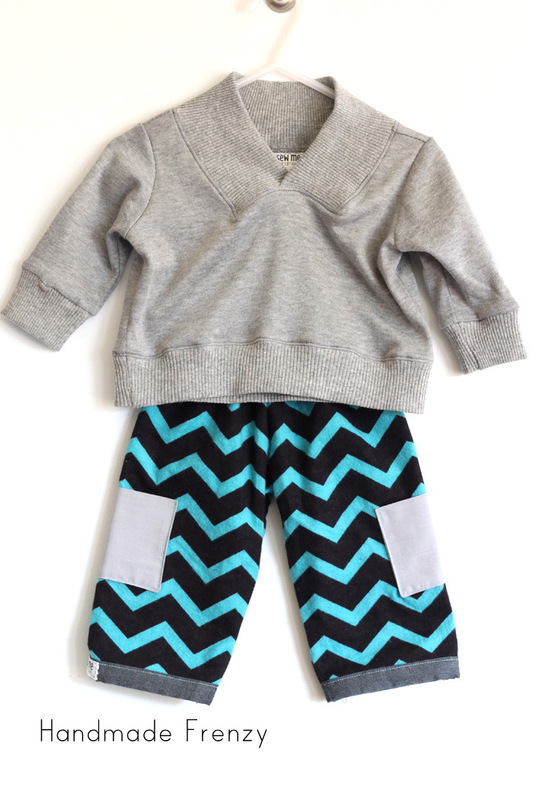 I do realize I could have just added length to the pants pattern so that they both fit at 6-12 mo, but this baby probably won't be wearing this sort of thing in that time frame. So... 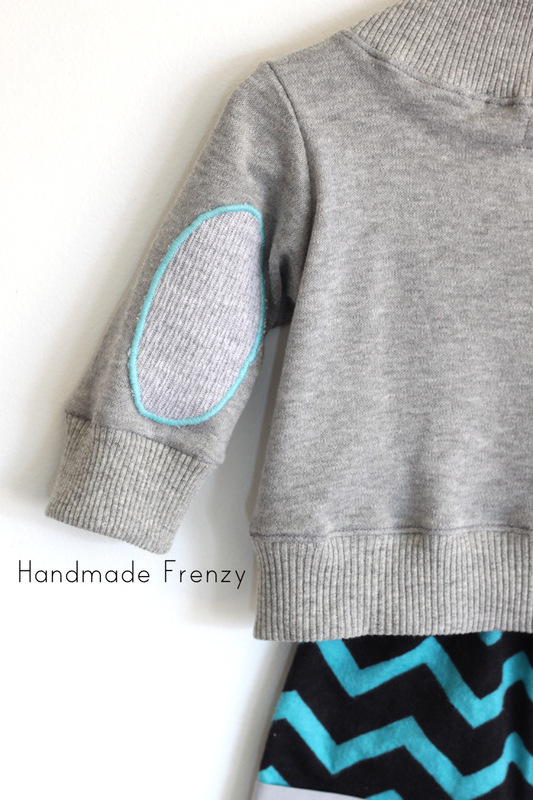 I downsized the sweater pattern! This was actually pretty simple to do. Step 1: Print the pattern. Then use your copier and copy at 90%. Step 3: Proceed with the tutorial as written! Seriously, I'm in love with this sweater! 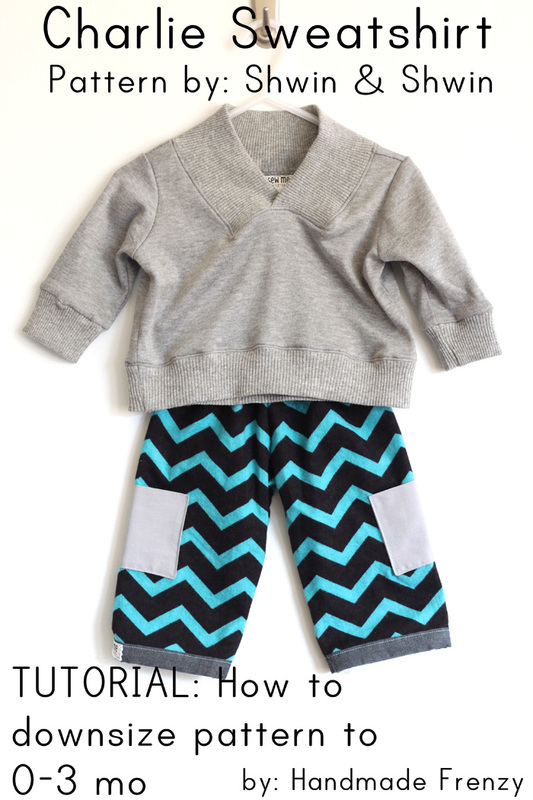 Now go make your own cozy little outfit for a sweet little baby in your life! Here is the new pair I made to send off to Baby B! Yes, I had to use the bicycle washi tape. How could I not!? 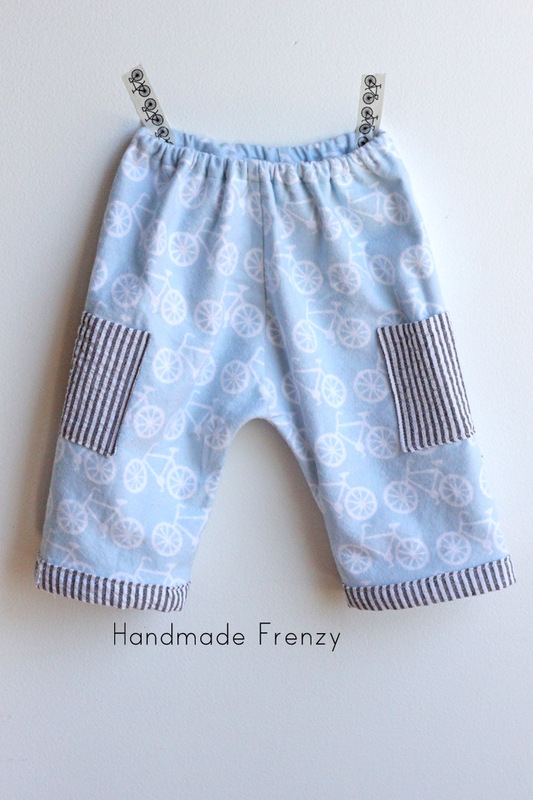 And both of these patterns are gender neutral, I'd love make a girly version, too! that sweatshirt is SO cute! Holy freaking Moly it is awesome! Lol, Thanks Shantel! 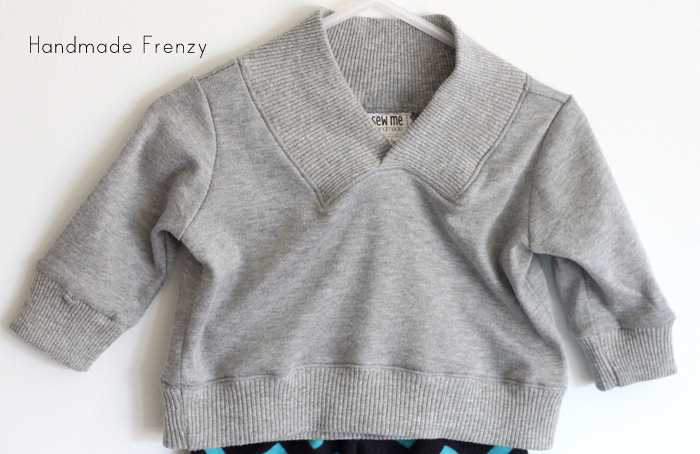 Your sweet little man would look completely adorable in one! !